Alfalfa Medicago sativa also called lucerne, is a perennial flowering plant in the pea family Fabaceae cultivated as an important forage crop in many countries around the world. It is used for grazing, hay, and silage, as well as a green manure and cover crop. The name alfalfa is used in North America. 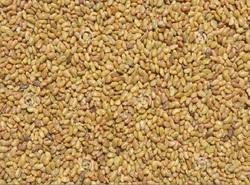 Orgainc pulses and spices : jowar flour, ragi flour, bajra &maize flour, soya flour, multi grain flour etc. Moringa products :moringa leaf powder, moringa Tab& capsules, moringa soup, moringa tea.soaps. 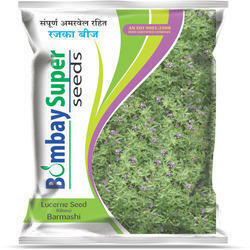 We have distribute good quality Lucerne seeds.